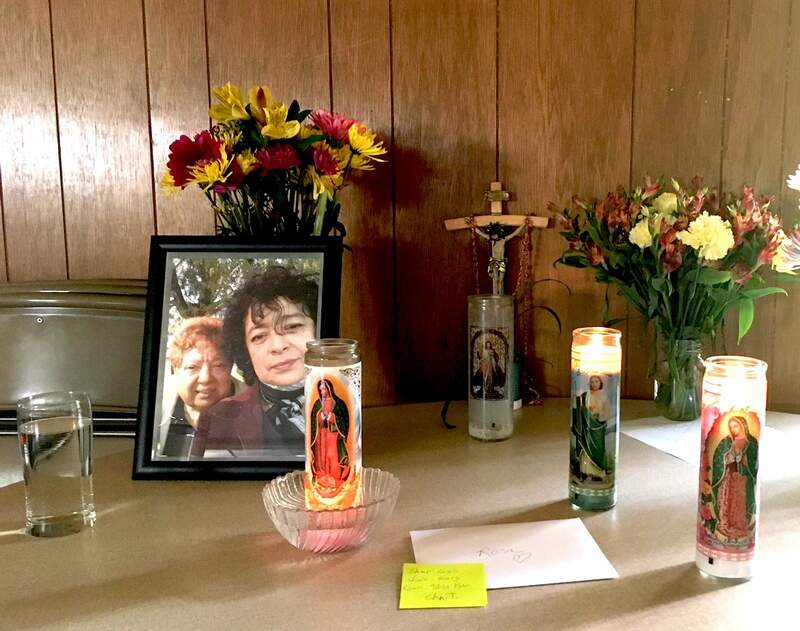 Rosa Sabido’s altar for her mother, Blanca Valdivia, with donated flowers during a rosary in Mancos on July 28. A memorial Mass and service is planned for Sept. 1 for the mother of Rosa Sabido, an undocumented immigrant who has been living in sanctuary at Mancos United Methodist Church since June 2017. The Mass and service will be celebrated by Father Pat Valdez and Pastor Craig Paschal at the Methodist church at 11 a.m.. A reception will follow. Apart from her husband, Roberto Obispo, Sabido was Valdivia’s closest relative in the U.S. Several other family members have been deported, and Sabido has sought resident status since 2001. She said her inability to care for her mother during the illness was devastating for both of them.